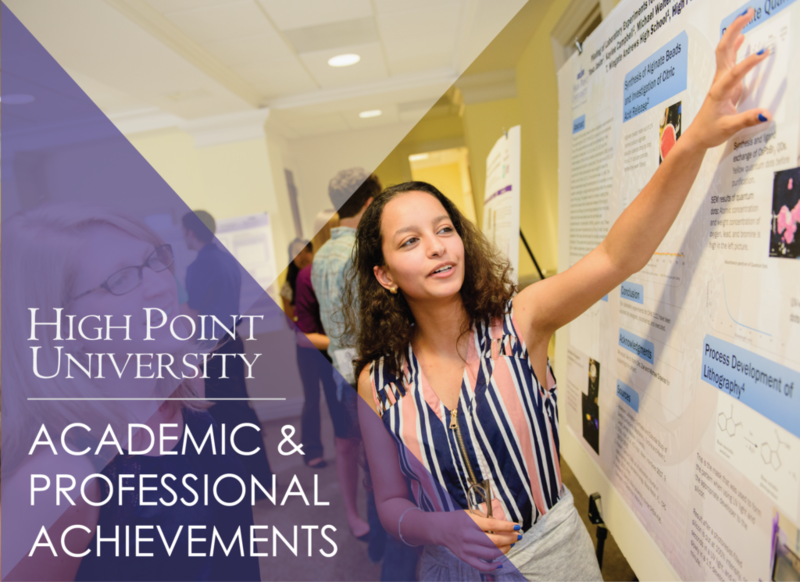 HIGH POINT, N.C., Jan. 17, 2019 – High Point University faculty, staff and students recently received the following academic and professional awards and recognitions. 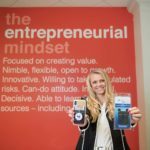 HPU senior Elisa Crane will be featured as a runner-up in Creative Quarterly 54. Creative Quarterly is an international journal that promotes the best work in graphic design, illustration, photography and fine art. It is highly competitive with submissions open to artists, designers and photographers of all levels worldwide. Crane entered work that she completed for a class at HPU. Her design will be published in April. HPU’s Society of Physics Students received two recognitions from the SPS National Office. The club received the Outstanding Chapter Award for excellence for the fourth year in a row. 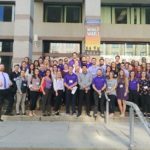 Less than 10 percent of all SPS chapters at colleges and universities across the U.S. and internationally are recognized each year. 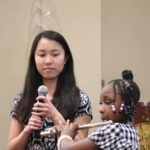 The club also received its second Blake Lilly Prize in a row for its effort to positively influence school children and the general public about physics. Each year they host a public event called HPUniverse Day that brings hundreds of people of all ages to campus for fun and educational activities in physics and astronomy. SPS is a professional association for students interested in physics and related fields. 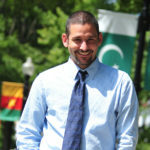 HPU’s chapter is advised by Dr. Aaron Titus, physics department chair and professor. 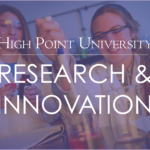 “It’s no secret that physics is a pretty demanding major, but having a community-centered club like SPS has helped build a strong, supportive bond between students and faculty that makes pursuing physics at HPU not only achievable, but genuinely enjoyable,” says Michael Welter, president of HPU’s chapter. 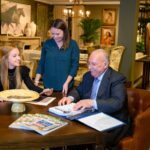 The International Furnishings and Design Association honored HPU seniors Marina Berenguer and Kendra Perley with the Rising Star Award during the Night of Luminaries dinner gala in High Point. The award recognizes exemplary senior-level design work by students from colleges across the Carolinas. 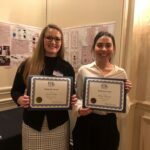 Berenguer, an interior design major, and Perley, a visual merchandising design major, were nominated by faculty members to represent HPU. They had the opportunity to share their design work with fellow rising stars, faculty, families and furniture industry professionals attending the event. Dr. Tony Kemerly, professor of exercise science at HPU, was named the area chair for fitness, exercise and physical culture for the Popular Culture Association. The association is a group of scholars who study popular culture and conduct research within various areas of the topic. Kemerly leads the submission process of research exploring exercise and fitness in media, film, literature, advertising, the internet and social media among other areas. 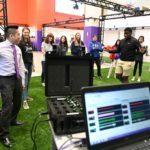 At HPU, Kemerly has incorporated various aspects of popular culture into his classes on body and identity, the culture of fitness and the culture of obesity. Students read popular books such as “The Hunger Games” as a framework for discussing the subjects they are studying, and their assignments require them to use media, including music and movies, to apply what they are learning. 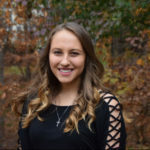 Resources for school counselors created by Katie James, a 2018 graduate of High Point University, were featured on the Counselor Up blog and by the National Girls Collaborative Project. James, who studied psychology and human relations at HPU, is pursuing a master’s degree in counseling. She and two classmates created a handbook of educator resources for guiding elementary students in gender positive career exploration as part of her master’s work. Through these websites, the handbook has been shared with thousands of school counselors across the country.